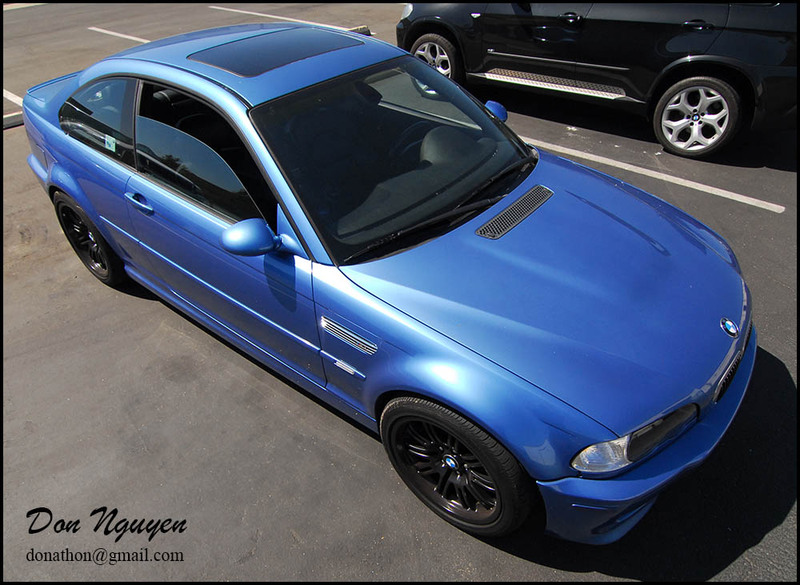 For this rare estoril blue E46 M3 coupe, I installed my gloss black vinyl material to the roof of the car. If I can remember correctly, the paint that was already on the roof was not in that great of a shape, so the owner wanted to cover it up and prevent it from further deteriorating and as a non permanent solution until he had the roof repainted. The owner of this car came out to me in Anaheim Hill/sOrange county to have the work done. I think the gloss black finish went well with the bright blue color of the car.